What’s the Project? 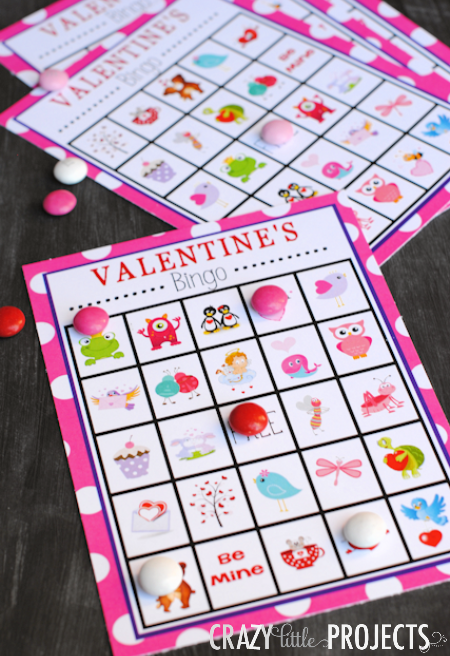 This cute Valentine memory game is fun to play with the little ones for Valentine’s Day! All you need to do is print the cards and you’ve got a great matching game for preschoolers or older children. 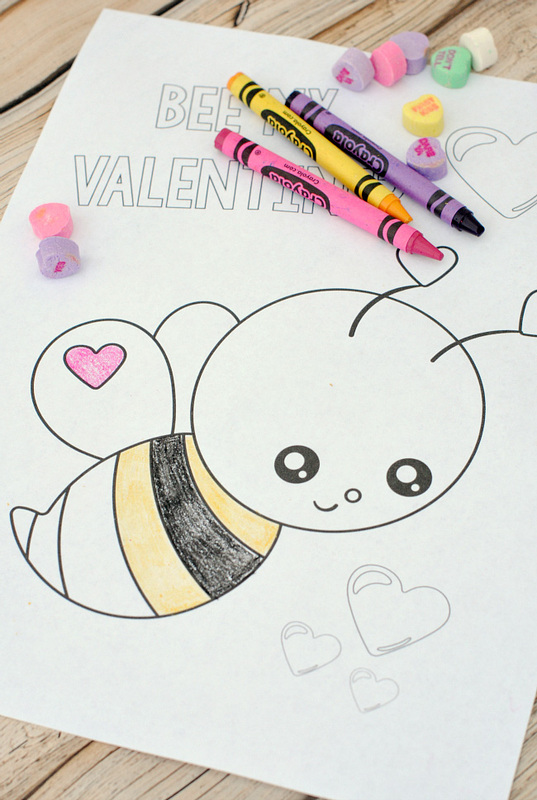 It’s great for kids’ Valentine’s Day parties! I’m getting excited to do some fun Valentine’s Day posts! Valentine’s Day is so much fun!!! I did Valentine’s Bingo last week but I’ve got a bunch more Valentine’s day ideas coming. 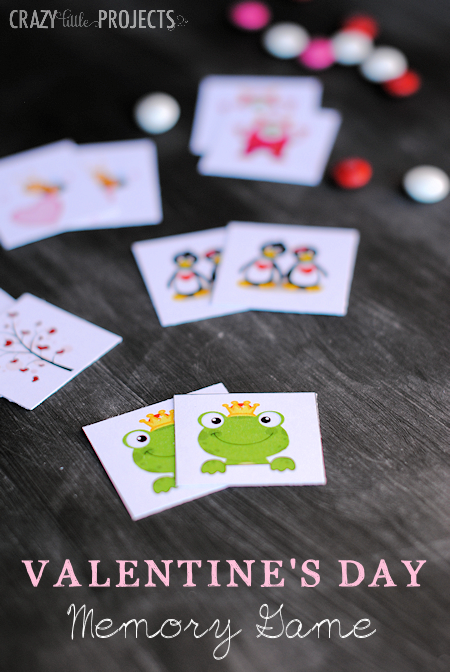 Today I am giving you a Free Printable Valentine Memory Game. 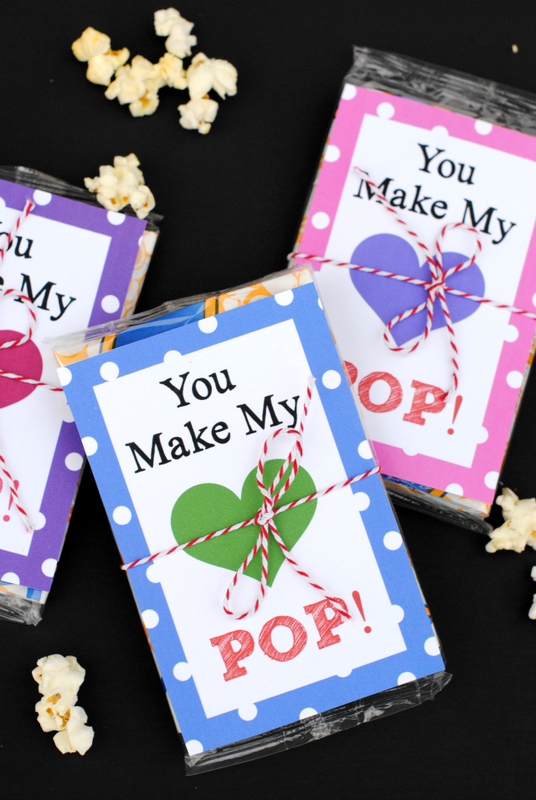 Perfect to use for Valentine’s Class Parties or kids parties that you throw. My littlest LOVES to play this with me. It’s full of cute little animals in love and other fun Valentine’s cards. It’s easy to play-just turn over 2 cards looking for a match! So easy and so fun! And if you’re looking for fun Valentine’s games, here are a bunch more for you! Perfect for Valentine’s parties! Here are the cards to print out. You will need to print 2 copies of this sheet. Then cut them out. You will have 2 of each card now (should be 48 cards I believe). Just in case anyone doesn’t know how to play-place all the cards face down. Each player takes a turn flipping over 2 cards looking for a match. If they get a match they pull the two cards out and set the cards in front of themselves. And if you get a match you get another turn! Keep going until all of the matches are found. The person with the most matches at the end wins! So that’s it! It’s easy and it’s free and it’s fun! 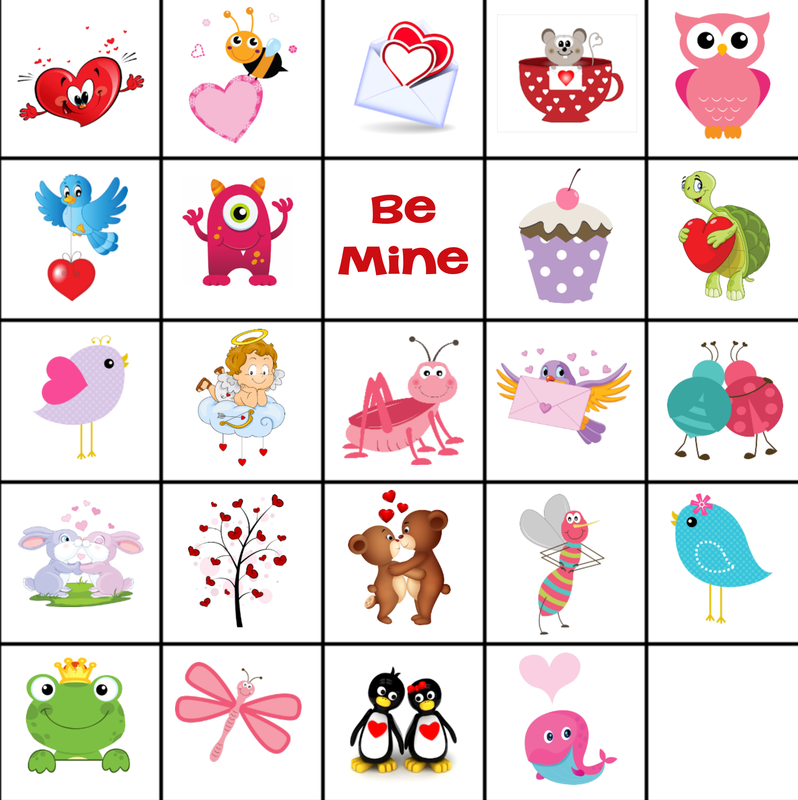 I hope you have a ton of fun playing with cute Valentine memory game for the holiday! Thank you for the memory game and the bingo game. It’s my first class party as a helper Mom. Can’t wait to explore your site better. Thank you!!! Thank you so much for your free printables!! I am a mentor for reading in a public elementary school for children that need extra help with their reading. They all look forward your games that I bring to school for them!! Thank you so much for the printables!!!! I am starting to teach kids and will help me a lot. Have fun with those kids and the printables!